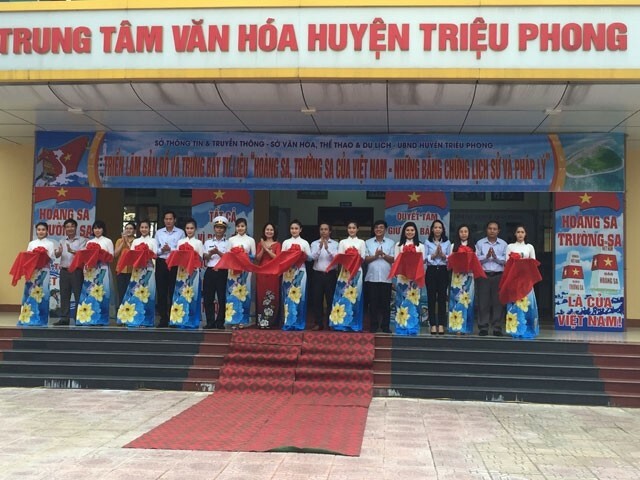 (VOVWORLD) - An exhibition titled “Vietnam’s Hoang Sa (Paracel) and Truong Sa (Spratly) archipelagos – Historical and legal evidence” opened on Tuesday in Ai Tu township, Quang Tri province. The Hoang Sa, Truong Sa exhibition opens in Quang Tri on October 2, 2018. The 3-day exhibition displays 120 documents, photos, maps, and materials collected in Vietnam and overseas showing that Hoang Sa and Truong Sa belong to Vietnam. The documents in Vietnamese ideographic script date back from the 16th to 20th century. The exhibition showcases maps, published by Western countries since the 17th century, which prove Vietnam's sovereinty over Hoang Sa and Truong Sa archipelagos.